When you choose which best gold investment company to pick, you do not have to worry about storing physical gold of your own or that it might get stolen, you do not need stock analytical skills to know which gold mining stocks to buy or which gold ETF is good, all you need is to purchase shares from one gold investment company that will take care of all your investment needs for a small fund management fee. Having presented all the advantages as to finding the best gold investment company for you, what are the important factors to look for in each gold fund company? Gold investment performance should be your key indicator. Look whether this particular gold fund has reasonable fees, good asset allocation, preferably is a no load gold mutual fund and with relatively low initial investment limit. This will give you enough flexibility to start investing with literally a couple hundred dollars in your wallet. Consider looking for the best investment company among the following: Tocqueville Gold Fund (TGLDX), First Eagle Gold Fund Class A (SGGDX), OCM Gold Fund Investor Class (OCMGX) and GAMCO Gold Fund (GOLDX), just to name a few. 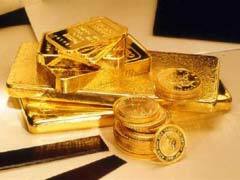 If you would like to learn more about gold investment in Indian Banks, scroll over to read on this topic.